Unlimited tennis pass available at Life Time Fitness Bloomington South. Contact Mark Mudra with any questions at 952-833-1469. We are getting closer to our goal of launching a new, improved website that will allow us to renew our memberships, view a current membership roster, register and pay for special drills and social events, and more all online without writing a check, licking a stamp, addressing an envelope, etc. Our website developers, Great River Digital, are working hard to bring this about for our non-profit association of over 1,100 members. Most organizations of this size have employees, but we do not. Most of the work regarding renewals, as well as registering for events, each year has been done by wonderful volunteers using what we now call "snail mail." Although we had hoped to be online sometime in the month of September, it appears it may be a few more weeks before we can celebrate our "new era" of entering the 21st Century. In the meantime, if you are able to read this email (which is proof of being online and that you already are a dues paying member), remember that your membership year is paid through December 31, 2014. We urge you to wait to send in your renewal via the new website which will allow you to pay the $30 annual dues online and will provide you with all the newsletters published throughout the year and a current, up to date roster at your fingertips. We will notify you as soon as the new website is operational. For our longstanding faithful members who are not online, there is the option of receiving all printed and mailed newsletters for $3 and/or one printed and mailed roster for $2; and you can renew anytime from now to December 31, 2014 and be timely. Prizes will be awarded for top recruiters! The 2014 new member contest is underway and will go until Dec. 15, 2014. Download new member applications off the website. Once completed, send checks and applications to: Ken Landro, 1890 Hampshire Ln N, Golden Valley, MN 55427. A week stay at a resort in either the US or internationally in 2015. A paid program registration at the highly desired and much sought after Tennis and Life Camp at Gustavus Adolphus College to be used in the summer of 2015. A top of the line new tennis racquet and 3 cans of balls. 3. "Raise the Roof" Match Hits the Roof! David Sommer’s match of up to $4,000 of STPC donations has maxed out. Do the math: $4,000 + $4,000 = $8,000 total contribution to InnerCity Tennis’ Capital Campaign. This goes towards the cost of replacing the domes, improving lighting, and other improvements for the Reed-Sweatt courts. Work will begin on Friday, October 24th after the conclusion of the Girls State Tournament. Weekday school outreach programs & Super Saturday Program at Reed Sweatt opportunities available! InnerCity Tennis is looking for volunteers to work with children and youth, ages 3-18. Programs run five days out of the week, Tuesday - Saturday. 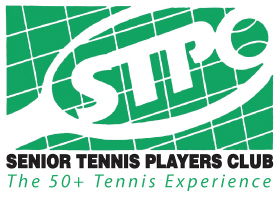 Many STPC members already volunteer with InnerCity Tennis. Join in the fun! The commitment is flexible and no prior tennis experience is needed. The only requirement is that you much like working with kids! View calendar of programs. Contact Omar Warfa, ICT Volunteer Coordinator with any questions at 612-584-4736. 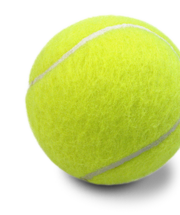 Copyright © 2014 Senior Tennis Players Club, All rights reserved.